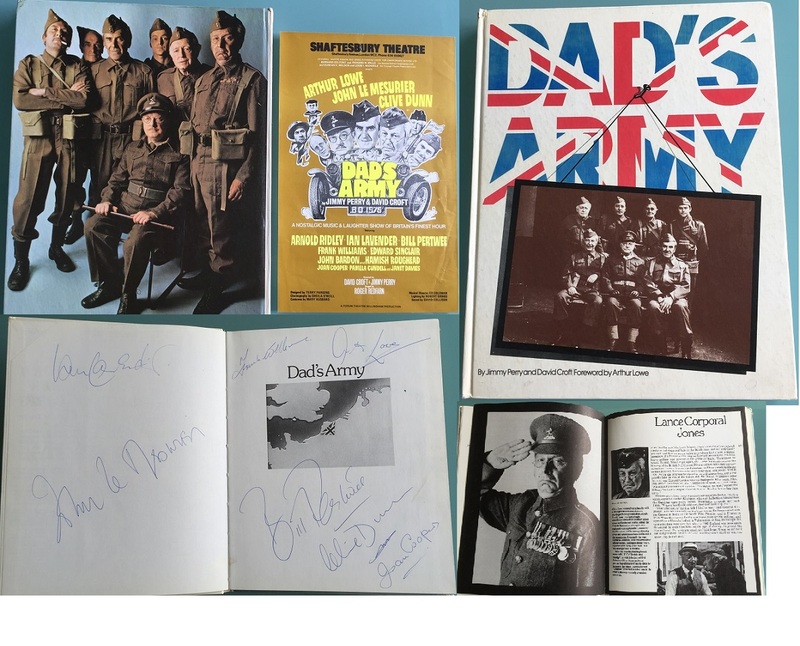 Dad's Army Book Annual Signed by 7 Arthur Lowe, John Le Mesurier , Clive Dunn etc. This is a very rare Dads Army book on its own. But to have one signed by the original cast members makes it a really nice collectable item, or gift for a Dads Army fan. The items shown are all included, inc. show flyer, and the lovely colour cast photo is on the rear of the book. There are some rare signatures on this one, and lovely bold examples ! Ian Lavender (Pvt Pike) "Stupid Boy !" 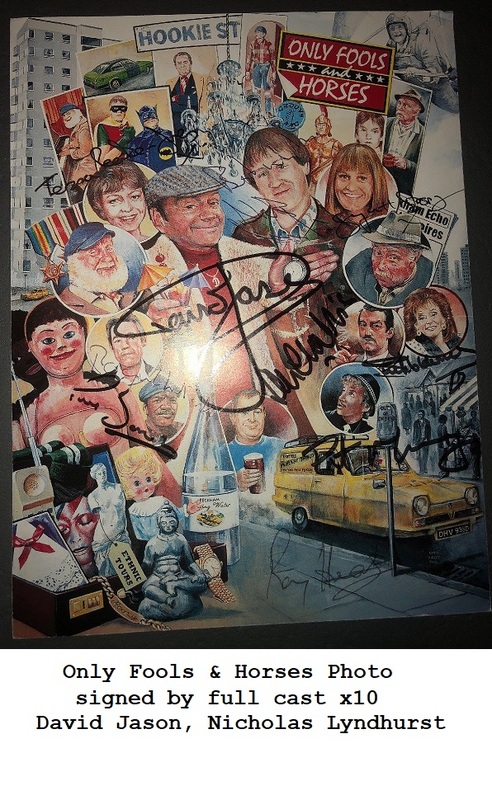 Signed at the Dads Army 1975 Stage show tour in London. Comes with original Stage Show flyer which was inside the book !